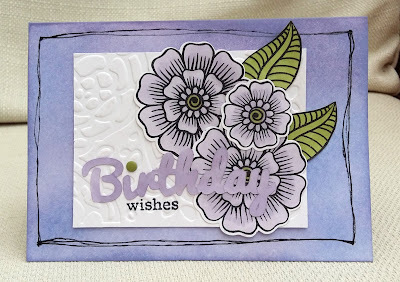 The stars of the wonderful card kit put together by Nonni were these lovely stamped and die-cut flowers and leaves ...I think they are by Alte New?? I don't have any stamps like this. 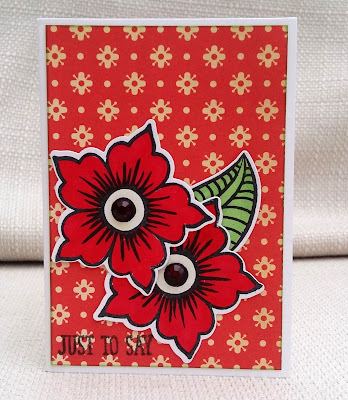 For my first card I coloured a card base using distress inks and doodled a frame. I coloured the flowers and leaves with Promarkers and stuck them to an embossed panel (from the kit). I added a sentiment - part die-cut, part stamped. 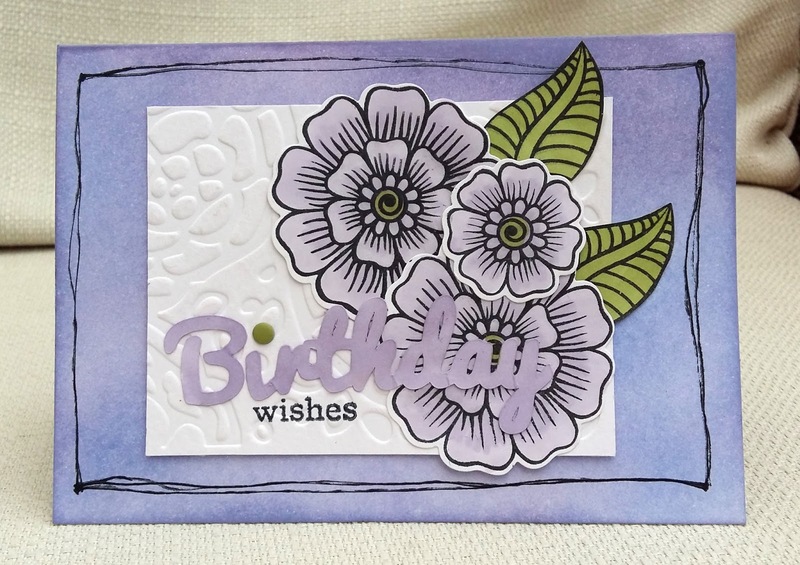 The second card is actually a mini-card, using two more flowers, a leaf , some gems and patterned paper , all from the kit. I added a stamped sentiment. A mini card is a fun concept, something I'll certainly try! The purple one is my favorite one of all, I love purple and I think it's such a stylish design. The doodled frame picks up the style and bold lines of the images in a nice way. Love it! Hi Marina, I love your flower cards, they look great. 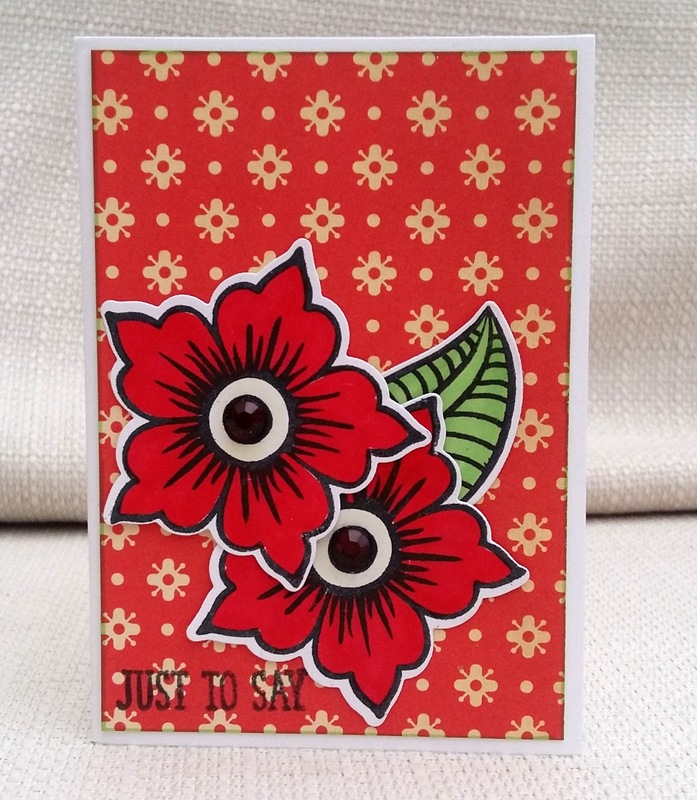 Two beautiful floral creations Marina, many thanks for sharing your lovey work with us at Penny Black and More challenge. Two gorgeous cards Marina. I love the bold flowers and colours. Thank you for sharing your lovely work with us at Penny Black and More and we hope you will join us again next month.